WhatsApp is one of the most popular messaging apps in India with more than 200 million users. The craze of chatting on WhatsApp is always true at every age. Whatsapp is a big platform, where millions of users share millions of photos and messages every day. From kids to lover-couples, they also support WhatsApp now. At the same time, whitespace is still used to distribute tasks to employees in college from students studying in corporate offices. 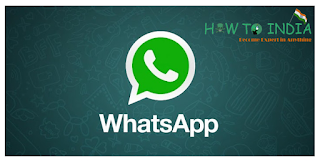 Step 1: Get help from the database: Get the database file (Note that this way you will only get chat records for the last 7 days of WhatsApp). Actually, WhatsApps create a database file on your phone. Step 2: Take the user’s phone and then go to File Manager. Step 3: Now go to the Database folder from the WhatsApp application. Step 4: Here you will find the database history of the last 7 days. This will be stored as “msgstore-date.db.crypt8”. There will be 7 similar files available. Select all these and send it to your phone with the help of Bluetooth. Step 5: Now, you now have a database of your partner, girlfriends or boyfriend. This will be a history of the last 7 days. This history will be in the encrypted format, which you can use to “select SQLite File” to read. Let me tell you the best way to do it. Whatsapp is now support in web browser as well. WhatsApp Web on your PC , Laptop Or mobile browser . that person don;t know the whatsapp is connected to other computer or not until check on device .